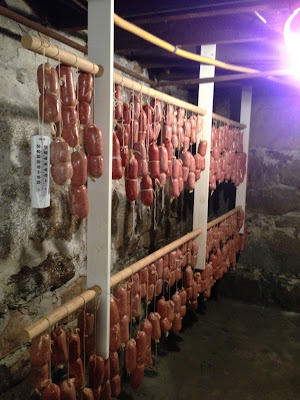 My friend Mr. James Iacoi makes the best homemade sopressata aka "soupy". 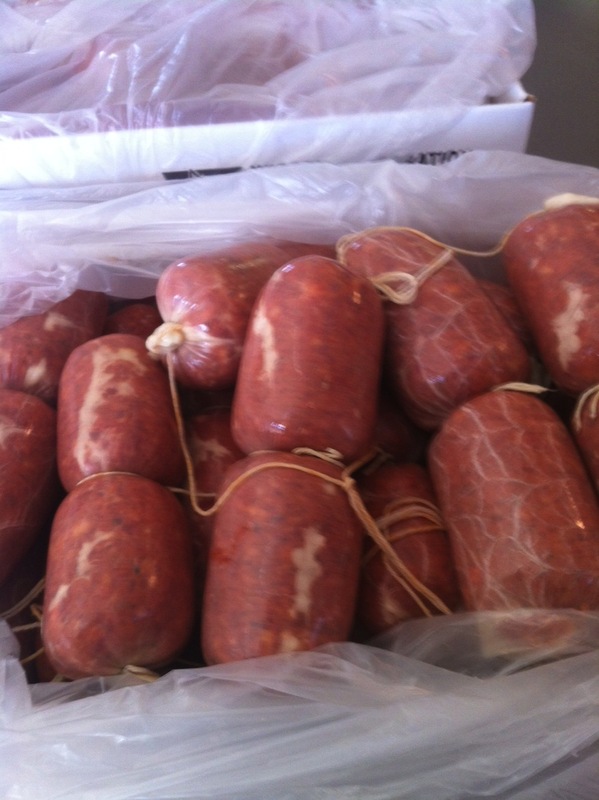 Sopressata is an Italian dried sausage and boy does Mr. Iacoi make a good one! Mr. Iacoi makes his sopressata with pork and spices in the style of Calabria, where his family originated from. His family's tradition is to make the soupy every January and that way the dried sausage is ready by easter. 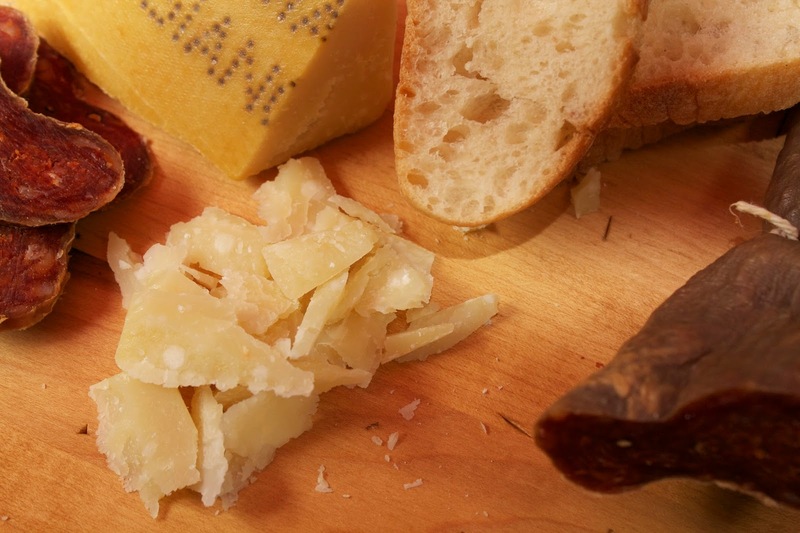 Dried meats are becoming more and more popular. 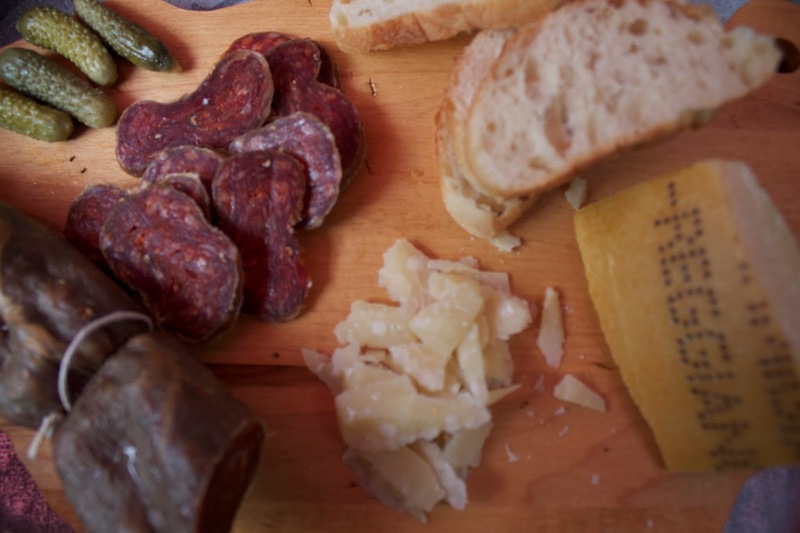 And charcuterie platters are exciting and mouthwatering. Thank you for the delicious soupy Mr. I! This entry was posted in Little Bites,Other by Catherine Amoriggi. Bookmark the permalink.